Working smoke alarms save lives, cutting the risk of dying in a home fire in half. The most dangerous fires are in homes without working smoke alarms. Most people who are killed in house fires die from carbon monoxide and smoke inhalation, not burns. Have an escape plan if fire breaks out in the home - “two ways out” should always be available. Smoke alarms should be in place in every sleeping room, outside each separate sleeping area and on every level of your home, including the basement. For smoke alarms with replaceable batteries, replace the batteries once a year or sooner if chirping. 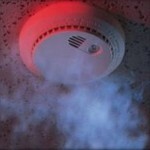 Completely replace smoke alarms that have life-long batteries every 10 years old or if chirping. This entry was posted in Fire & Burn Safety and tagged fire, evacuation, smoke on February 29, 2016 by American CPR Training Team. We have talked about High Voltage and the Effects of electric current in the human body - we also offer Electrical Safety Training for the workplace (as well as electrical safety training materials) - but what about at home? 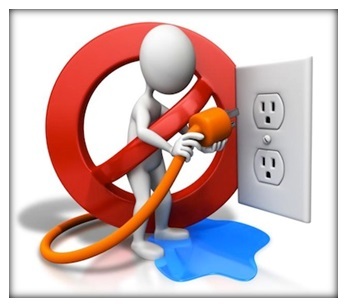 Never overload outlets, power strips, multi-plug adapters or extension cords. Use light bulbs with the correct wattage for lighting fixtures. If you use a larger watt bulb in a fixture you increase the potential for a fire. 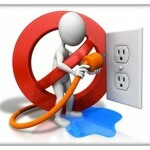 Do not use electrical appliances in or near showers or bathtubs. If they fall into the water, it will create a severe electric shock . Turn off all electrical appliances that produce heat, such as curling irons, clothes irons, hot plates and stoves, every time you leave the room . This entry was posted in Fire & Burn Safety and tagged electrical safety on February 28, 2016 by American CPR Training Team. Do you have a Fire Plan at work? 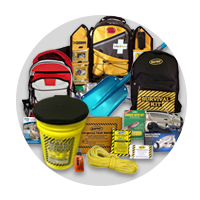 Not only should ever workplace have an evacuation map and plan, conduct drills, and have fire and evacuation equipment on hand, but any organization should have a specific procedure for reporting a fire or fire threat. 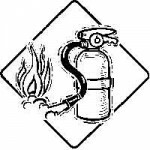 The employee shall, if trained in the use of fire extinguishers, may attempt to suppress a small fire, until relieved by the Fire Department or until it becomes apparent that the fire cannot be controlled by fire extinguishers. Note: Employees should never attempt to control a fire, which endangers their health. They must immediately evacuate the area when it becomes apparent that the fire cannot be controlled or when conditions become more hazardous. 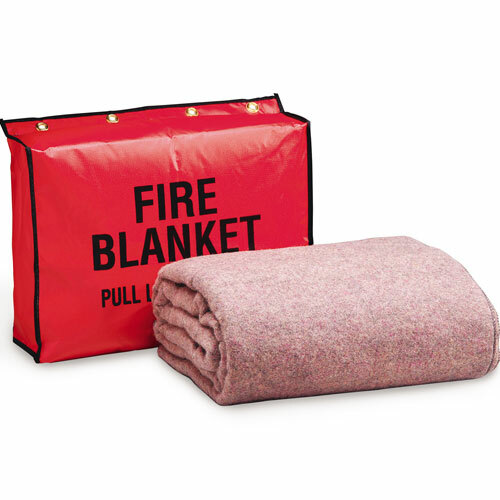 The employee shall Pull the Fire Alarm Box and notify management of the fire. Among all the safety problems an employee can encounter, fire can be the most frightening. Every year fires in healthcare facilities and offices cause millions of dollars in damage and result in hundreds of injuries, a number of which are fatal. 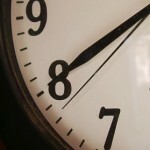 Yet many employees do not realize how their own actions, or inaction, can contribute to the risk of fire and offices. Our training products on "Fire Prevention in Healthcare and Office" look at how fires start, review steps that can be taken to help prevent fires and discuss what employees should do in case of a fire emergency This includes the most common causes of fires, the concept of flashpoint, fire prevention and much more. DID YOU KNOW? A fire prevention plan must be in writing, kept in the workplace and be made available to all employees for review. However, an employer with 10 or fewer employees may communicate the plan orally. This entry was posted in Fire & Burn Safety and tagged emergency, fire, fire plan, fire safety, evacuation on February 15, 2016 by American CPR Training Team. What's the worst thing you can do for a burn? Burns are very common injuries and can range from minor to deadly - even scalds (the focus of this year's Burn Awareness Week) can be life threatening. 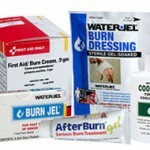 Use only FDA approved Burn Treatment Products on burn injuries! The treatment of first and second-degree burns involves the immediate immersion of the burned area in cool water. 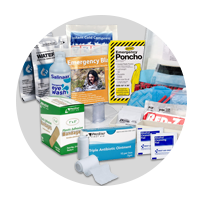 In general, a rescuer should not apply anything other than water to the burned surface, unless you have FDA approved burn treatment products on hand specifically designed for burn first aid. 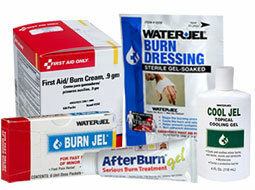 Many ointments and home remedies applied topically actually trap the heat, causing further damage to the burned area. Leave the burned area immersed for approximately 15 minutes. Apply a dry, sterile dressing. If possible, elevate the area of the burn to decrease pain and swelling. If the burn is serious or the rescuer is unsure of the severity, call 911 / EMS. The treatment of third-degree burns should always include early activation of the EMS. Treat the casualty for shock. Apply dry, sterile dressing to the wound. Do not attempt to cool the burn with water. 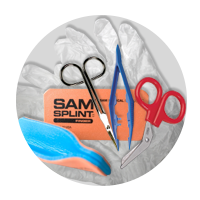 Do not attempt to remove anything that may be adhered to the wound. This entry was posted in Fire & Burn Safety and tagged burn, burn safety, burn first aid, burn treatment on February 5, 2016 by American CPR Training Team. Burns may be caused by many means; from thermal energy such as the sun or a heat source, to chemical processes, or even electrical exposure. We characterize the seriousness of a burn by the degree of its depth in skin tissue and the severity of the injury. 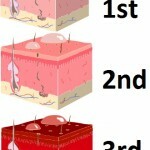 A first-degree burn, therefore, affects only the superficial layers of the skin. A common example of first-degree burn is sunburn. Pain, tenderness, and redness commonly characterize this condition. A second-degree burn involves deeper tissue damage. It may be caused by exposure to very hot surfaces, or by scalding from hot liquids or steam. A splotchy, red and white appearance, and the appearance of blisters often characterize second-degree burns. 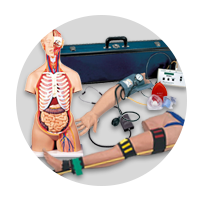 Because of the significant pain and fluid loss, shock is also a consideration. A third-degree burn involves charring of the skin tissue. In most cases, third-degree burns will destroy the skin tissue as well as the nerve roots beneath the skin. This may cause a loss of sensation in the burned area. Be very careful not to further contaminate a burned area, as the skin is no longer functioning as an adequate barrier against infection. 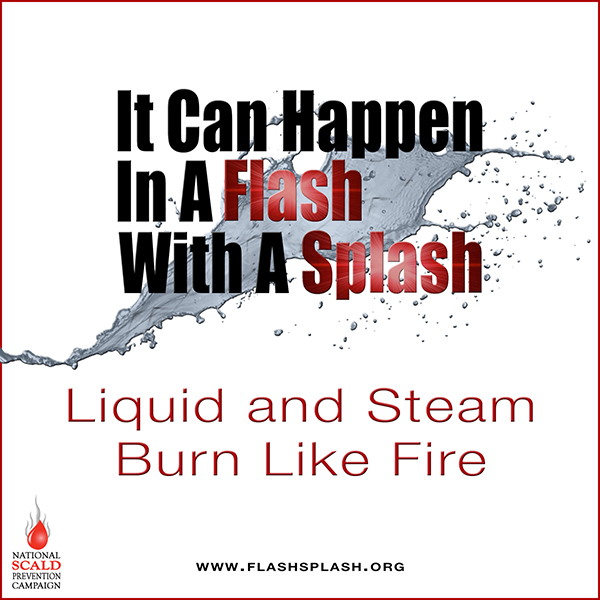 It can happen in a Flash with a Splash: Liquid and Steam Burn Like Fire! 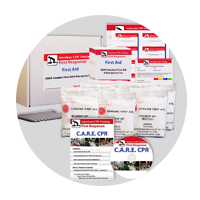 This entry was posted in Fire & Burn Safety and tagged burn, burn safety, burn first aid, burn treatment on February 4, 2016 by American CPR Training Team. 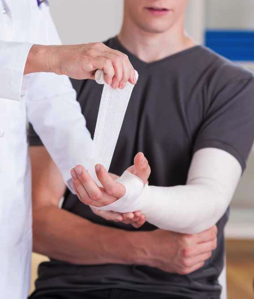 When a burn injury occurs, it causes a break in the skin and may subsequently cause an infection if it is not treated appropriately or the right away. Think of the skin as a coat of armor for the human body... burns create a chink in the armor, allowing infection in. The American Burn Association’s Burn Prevention Committee recommends the following guidelines for the treatment of minor burns. Please note that even a small burn, may have the potential to become infected. It is always advisable to seek medical attention as soon as possible. Remember, when in doubt or if you think the individual’s life is in danger, call 911. Remember, if you call 911 using a cell phone you may or may not get the local 911 for the area you may be in. 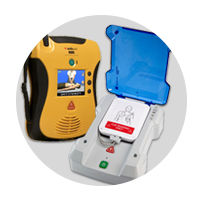 Remain calm and provide the operator with the necessary information to get the EMS personnel to you. Burns are primarily divided into three categories: first-degree or superficial burns, second-degree, or partial thickness burns and third-degree or full thickness burns. How these types of burns are treated initially will determine whether there is a successful outcome. • Stop the burning process: cool the burn with running cool (not cold) water for at least 5 minutes. But do not use ice, as this may cause further skin damage. Do not over cool! If the victim starts to shiver, stop the cooling process. • Remove all jewelry, watches, rings and clothing around the burned area as soon as possible. • Administer an over-the-counter pain reliever such as ibuprofen or acetaminophen for pain control. Follow the directions on the label. Consult a physician or health care provider if pain is not relieved. • Cover the burn with a sterile gauge bandage or clean cloth. Wrap the burned area loosely to avoid putting too much pressure on the burn tissue. • Minor burns will usually heal without further treatment. • For small area burns, apply burn creams, or soothing lotions that contains aloe vera to the burned area to help relieve the pain and discomfort. • Seek medical attention if there is a persistent fever not relieved by medication or redness that may extend beyond the border of the burn or pain is not controlled by ibuprofen or acetaminophen. • Drink plenty of fluids (electrolyte containing solutions such as gator aid) if the person appears to be dehydrated. • Do not apply ice – this may cause further damage to the skin. • Do not use any butter, ointments or other home remedies on the burn. Such substances may trap the heat in the tissue and makes the burn worse. • Do not break any blisters…leave intact. 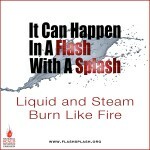 • Do not delay seeing medical attention if the burn is larger than the size of the victim’s palm. 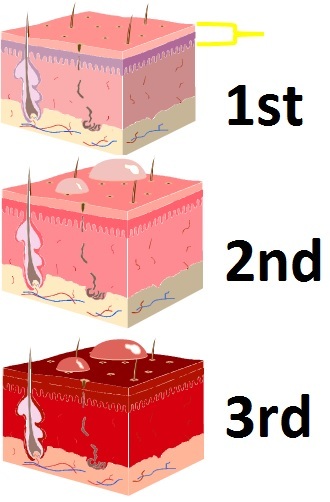 Second-Degree Burn - occurs when the second layer of skin (dermis) is burned. This burn usually has the following characteristics: very red, blister formation, extremely painful and a fair amount of swelling. In general, if a second degree burn is smaller than 2-3 inches (7 centimeters) it may be treated as a minor burn. If the area burned is larger than this, or involves functional parts of the body such as feet, face, eye, ears, groin or located over major joints, more in-depth medical attention is needed. Take the person to the nearest emergency room, family doctor or minor emergency clinic to have the burn evaluated. Failure to do so may result in permanent disfigurement or loss of function. Third-Degree Burns – are NOT minor burns and should be evaluated and treated by a healthcare provider. A third-degree burn is a very serious burn, no matter what the size or area of the body that may be involved. A third-degree burn involves all layers of the skin and can cause permanent tissue damage. The skin may appear to be charred, blackened, or white. The skin texture may be very dry or leathery. All third-degree burns should be evaluated by a healthcare provider immediately. Following the above guidelines should promote healing to most minor burns. 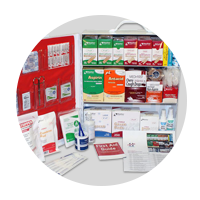 It is important to note that the consumer should always seek the advice of a healthcare provider if there is any question regarding the healing process of a minor burn. 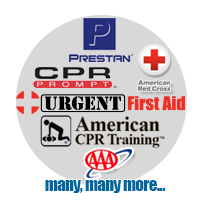 American CPR Training™, The American Burn Association, and the Burn Prevention Committee are not responsible or liable for any untoward complications suffered by any individual following these suggested guidelines. This material is for information purposes only. It is not a substitute for professional medical advice, diagnosis, or treatment, which you should seek from your physician. 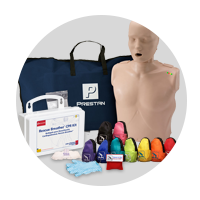 American CPR Training™ and The ABA do not endorse any specific product, service or treatment, DO recommend hands on First Aid Training. This entry was posted in Fire & Burn Safety and tagged burn, burn safety, burn first aid, burn treatment on February 3, 2016 by American CPR Training Team. Steam Burns, Hot Liquids Burn. Remember this. 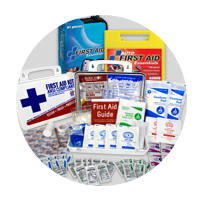 We so frequently focus on Chemical Burns and the typical Thermal Burns caused by fire and hot objects that we forget the danger in scalding burns. During mealtime, always place hot items in the center of the table away from the edge to prevent spilling hot liquids and food. Never place hot liquids on low coffee tables or end tables that a young child can reach and burn themselves. 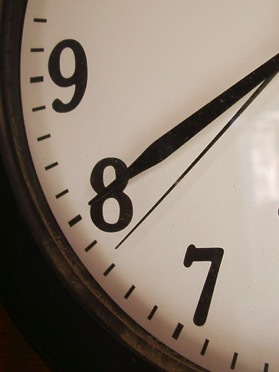 Every minute, someone in the United States suffers a burn injury serious enough to require treatment. 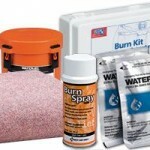 Be burn safety ready with the proper burn treatment supplies on hand. This entry was posted in Child Safety, Fire & Burn Safety and tagged burn, burn safety on February 2, 2016 by American CPR Training Team. Share this infographic for Burn Awareness Week! Did you know? Steam in popcorn bags is hotter than 180 degrees and can burn you in less than a second! When opening microwave popcorn bags allow the bag to sit for at least a minute and open the bag away from your face. 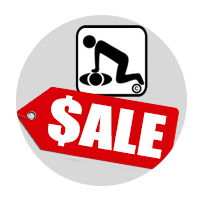 This entry was posted in Child Safety, Fire & Burn Safety and tagged child safety, burn, burn safety, scald on February 1, 2016 by American CPR Training Team. Tomorrow begins Burn Awareness Week. All week we will be sharing Fire & Burn Safety information for you to read, learn and share. Burn Awareness Week, observed the first full week in February, is designed to provide an opportunity for burn, fire and life safety educators to unite in sharing a common burn awareness and prevention message in our communities. Burn Awareness Week, celebrated early in the year, is an excellent opportunity to “kick off” a year full of burn awareness education. This entry was posted in Fire & Burn Safety and tagged burn, burn safety, fire on January 31, 2016 by American CPR Training Team.